Summary: November 1, Deputy General Manager of China Coal Group, China Transport Intelligent Group Yantai Cross-border E-commerce Company Construction Office Director Fan Pei Gong, General Manager ofChina Transport Intelligent Group Yantai Cross-border E-commerce Company Wang Kun and his entourage visited Yantai High-tech Zone Fushan Park, and discuss cooperation regarding China Transport intelligent Machinery Group landing Yantai High-tech Zone Fushan Park project and related matters, Yantai City Fushan High-tech Zone Administrative Committee First Deputy Director Su Hangfei, Merchants Office Qi Zhengqiang, Deputy Director Chi Tongguang, Director Bi Conghui and many other leaders warmly received our leaders. November 1, Deputy General Manager of China Coal Group, China Transport Intelligent Group Yantai Cross-border E-commerce Company Construction Office Director Fan Pei Gong, General Manager ofChina Transport Intelligent Group Yantai Cross-border E-commerce Company Wang Kun and his entourage visited Yantai High-tech Zone Fushan Park, and discuss cooperation regarding China Transport intelligent Machinery Group landing Yantai High-tech Zone Fushan Park project and related matters, Yantai City Fushan High-tech Zone Administrative Committee First Deputy Director Su Hangfei, Merchants Office Qi Zhengqiang, Deputy Director Chi Tongguang, Director Bi Conghui and many other leaders warmly received our leaders. 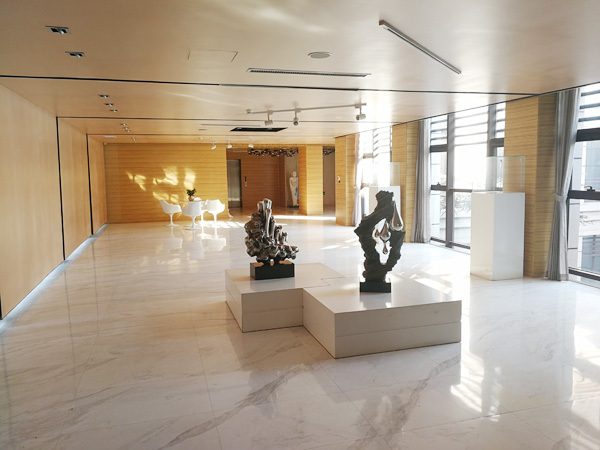 At the symposium, Director Su firstly introduced the development of Yantai Fushan High-tech Zone. Yantai Fushan High-tech Zone is established in October 1993, is approved by the state for the APEC members open modern high-tech park, the park has more than 600 industrial enterprises from more than 20 countries and regions, of which more than 80 enterprises are above designated size, more than 30 of world's top 500 investment enterprises, formed a modern high-tech industrial park based on car parts, equipment manufacturing, e-commerce information this three leading industries and new materials, new energy, bio-medicine three major emerging industries. Director Su said that the current situation of China's foreign trade is grim, cross-border e-commerce is to develop foreign trade market, cultivate new advantages of foreign trade competition must pass the way, China Coal Group as the key enterprise of development of cross-border e-commerce enterprises in Shandong Province and even nation, set an example to machinery industry marketing model innovation and change, we visited the China Coal Group for many times. is sincerely hope that through cooperation of China Transport Intelligent Machinery Group Setting in Yantai City High-tech Zone Furui Park project, focus on creating "Cross-Border E-Commerce + Intelligent Manufacturing Industry Park " to strengthen cooperation with China Coal Group in cross-border e-commerce, e-commerce platform, personnel training and other areas of deep cooperation, we will provide the best policy and the highest quality of the service for China Transport Intelligent Machinery Group landing in Yantai Fushan, to achieve the development of win-win! China Coal Group General Manager Fan expressed the thanks to Yantai Fushan Park Management Committee leaders on the development of cross-border e-commerce of China Coal Group, for the high degree of recognition, General Manager Fan said Yantai High Tech Zone has geographical advantages, strong industrial base, industrial characteristics, the policy advantage is outstanding, the future development potential is huge, we are very willing to strengthen cooperation with Yantai High Tech Zone Furui Park towards cross-border e-commerce platform and other aspects of the depth cooperation, to better play in our respective areas of special advantages to common development and long-term cooperation as the goal, through complementary advantages, sharing resources to promote the two sides in the field of cross-border e-commerce cooperation, the common cross-border ecommerce for the rapid development of the country to make more contributions! 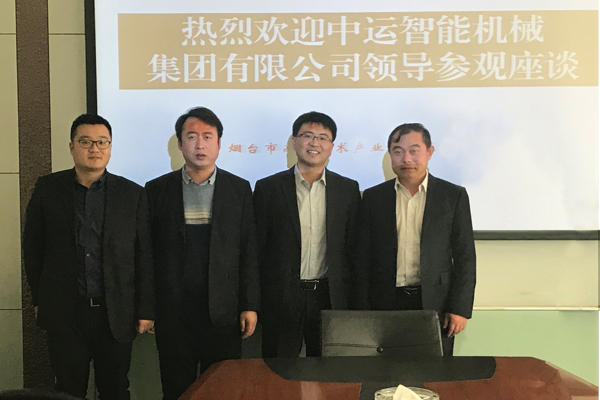 At the meeting, China Transport Intelligent Group Yantai Cross-border e-commerce Company General Manager Wang Yun, focused on the communication with the leaders of Furui Park on the specific construction policies, such as park construction, office space, warehousing logistics, staff accommodation and talent introduction and reached preliminary agreement. 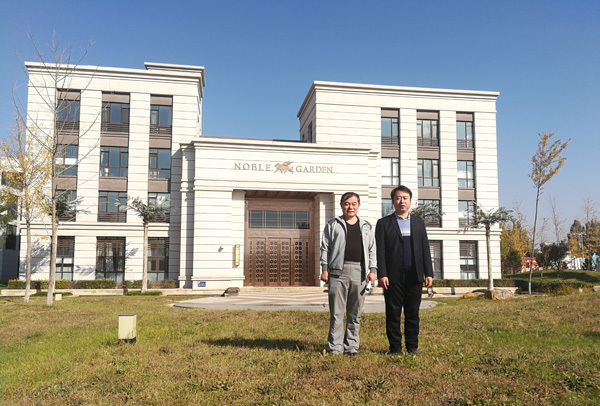 After the meeting, General Manager Fan and his entourage accompanied by the leadership of Furui Park, visited China Transport Intelligent Group Yantai Cross-border E-commerce Company Office area and key enterprises in the park. 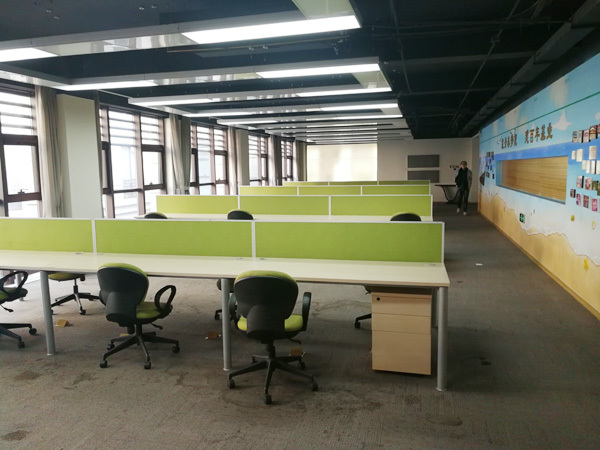 This investigation cooperation has played a positive role in promoting for China Transport Intelligent Machinery Group successfully landing in Yantai Fushan District, and for creating "Cross-Border E-Commerce + Intelligent Manufacturing Industry Park"!